Traditional security models are failing. While the idea of a shift from prevention to detection has gained traction, most current approaches to detection rely heavily on the same techniques that have rendered preventative tools ineffective. The ultimate goal - disrupting and stopping attacks - has continued to elude security experts. The next stage in the industry's evolution is to move to a stance of "dynamic defense," which combines the ability to detect an attack and fully understand its scope and potential impact on the business, and then use the information to disrupt the attack before adversaries can accomplish their goals. 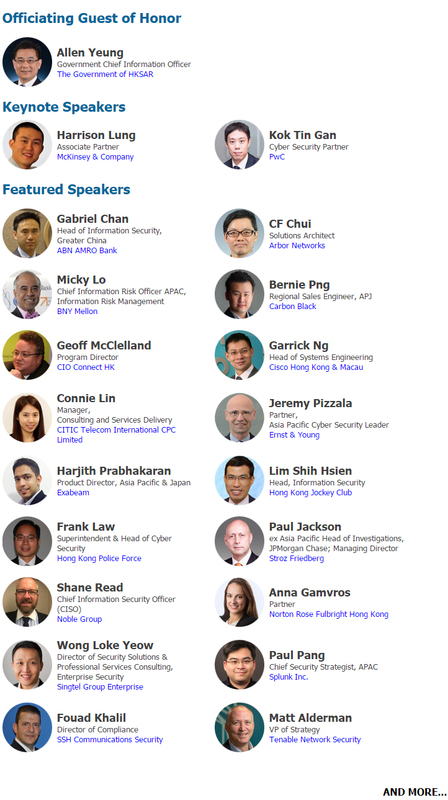 Carrying the theme of "Dynamic Defense for Today's Digital Business", InfoSecurity Summit 2016 will focus on evolving threats towards cybersecurity, dynamic defense approaches and newest security technologies in tandem with related management and monitoring.